New York, NY; 2026: It started with The Economist peddling an ice cream cart around town. 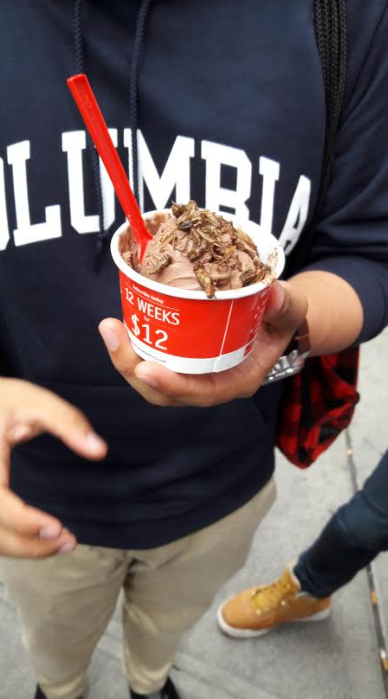 They gave out free ice cream if one was willing to eat the bug toppings that they put on each scoop. As people fought their gag reflexes to eat free ice cream, they didn’t realize that this was merely a precursor to the apocalypse that followed. In hindsight, people were dumb in 2016. Today, 10 years after that fateful day, I wish I could sink my teeth into a good, juicy, carbon-emitting steak. I’m old enough to remember what it tastes like, but there are billions on this planet who don’t. I don’t talk about that day because it was the most painful moment of my existence. That’s why I’m skipping over the excruciating details. Long story short, one day everyone was eating bacon and meatballs and the next day all the cattle had disappeared off the face of the planet. Just thinking about that makes my heart constrict. Today, we eat cockroach rinds and beetle steak. After drunken nights we eat worm kebabs. It’s horrible. I miss doctors telling me to stop eating red meat in order to live longer. I am older now and life’s not worth anything without the red meat that they succeeded in getting rid of. Better to die at 20 than reach an age at which bug meat is the only meat.